Campaigning is an important part of democracy and since it is the time for Lok Sabha poll in the country, political leaders from all parties are sweating it out during campaigning with an aim to woo the voters. Prime Minister Narendra Modi is scheduled to address four public rallies on Monday. At 10:00 AM PM Modi will address a public rally in Buniadpur, West Bengal and at 12:00 AM he will arrive in Araria, Bihar, to address a rally. PM Modi will then leave for Uttar Pradesh to address two rallies. One at Etah and one at Bareilly. Congress president Rahul Gandhi along with his sister and AICC general secretary Priyanka Gandhi Vadra and another AICC general secretary Jyotiraditya Scindia is set to hold a joint rally at Fatehpur Sikri Lok Sabha seat in Agra on Monday. The three Congress leaders are also slated to hold joint rallies in Aligarh and Nagina Lok Sabha seats on Monday. The voting for all the three seats is scheduled to take place in phase 2 on April 18 and the last day of campaigning is Tuesday. Rahul Gandhi is also scheduled to visit Nanded in Maharashtra on Monday to campaign for Congress candidate Ashok Chavan. He will also address a rally in Rajula town under Amreli Lok Sabha constituency in Gujarat on Monday. Uttar Pradesh Chief Minister Yogi Adityanath will campaign for BJP candidates in Phulbani, Rourkela, Anugul on Monday, while Rajnath Singh will address rallies in Mathura and Badaun in Uttar Pradesh. Bihar Chief Minister and JD (U) chief Nitish Kumar will address a rally in Kishanganj, while Tejashwi Yadav, Navjyot Singh Sidhu and Shatrughna Sinha will address rallies in Katihar. Uddhav Thackeray will address a rally in Latur. * He shouldn’t be allowed to contest elections. Because if this man wins, what will happen to democracy? There’ll be no place for women in society. Where will we go? Should I die, then you’ll be satisfied? You think that I’ll get scared & leave Rampur? But I won’t leave,” said Jaya Prada. * “It isn’t new for me,you might remember that I was a candidate from his party in’09 when no one supported me after he made comments against me.I’m a woman&I can’t even repeat what he said.I don’t know what I did to him that he is saying such things,” Jaya Prada reacts on Azam Khan’s remarks. * BJP Goa filed a complaint with the Election Commission on Sunday against a Roman Catholic priest for ‘creating an atmosphere of hate & fear against a particular political party & a specific religion’ in an address inside a religious institution. 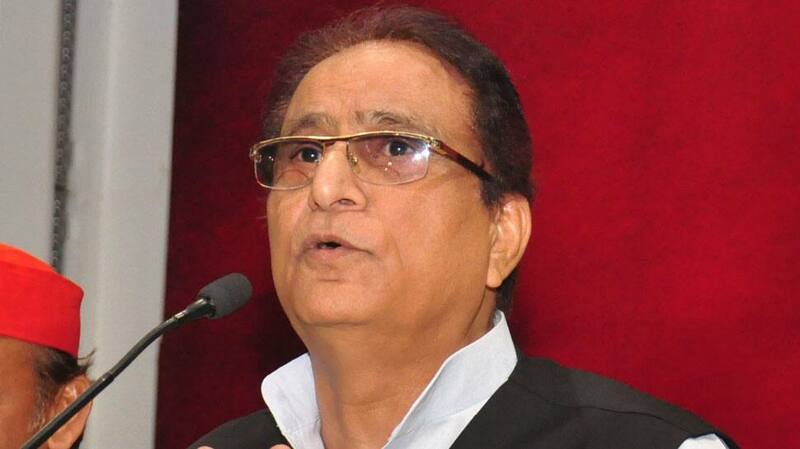 * FIR has been registered against Samajwadi Party leader Azam Khan for his allegedly derogatory comment on Jaya Prada. * Case registered against BJP MLA from Belapur, Manda Mhatre, for violating model code of conduct, for allegedly asking voters at a programme to vote twice in Lok Sabha poll. * “Armed forces and soldiers have always been kept separate from politics, in this country. For the first time in 70 years, they are being politicised. Yogi ji says, ‘Ye Modi ki sena hai’. Rashtradroh ka mukadma to Yogi ji pe chalna chahiye,” Rajasthan CM Ashok Gehlot told ANI.